Do you know that at the moment, thousands of people around the world are traveling? Somebody is driving a car, sitting near the window in a bright white plane or taking their road on foot. But before the trip, every traveler should prepare the tour wisely. They should care about the transfer and a place to stay in a new city, check for the best ticket options and notable discounts. So, stand-alone adventurers have to browse through lots of travel websites to get the best offers. Due to this fact, if you are offering travel services, take a time to create a clear and eye-catching website. That will help you to get customers faster and provide them with the best offers at a right time. After, fill the pages with a valuable content and make sure that users can pick your proposals in a blink of an eye. Then, provide an easy-to-use booking system and you are done. 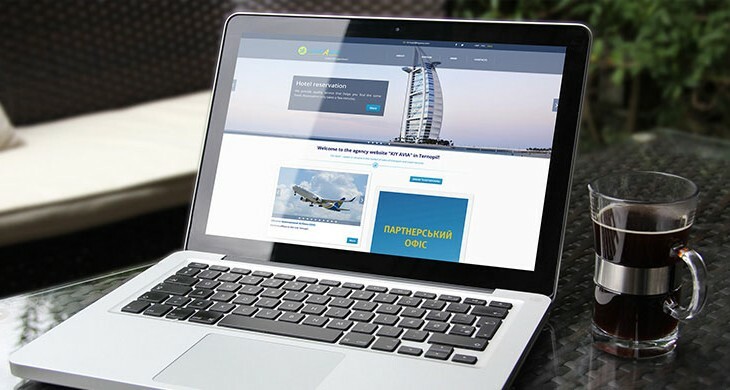 As an example, take a look at a local travel website that was just finished by Orange35 Team. Kiy Avia is a travel agency that provides a variety of services in Ukraine for more than 18 years. During this time, the company has got a lot of loyal customers and has developed strong relations with industry partners. 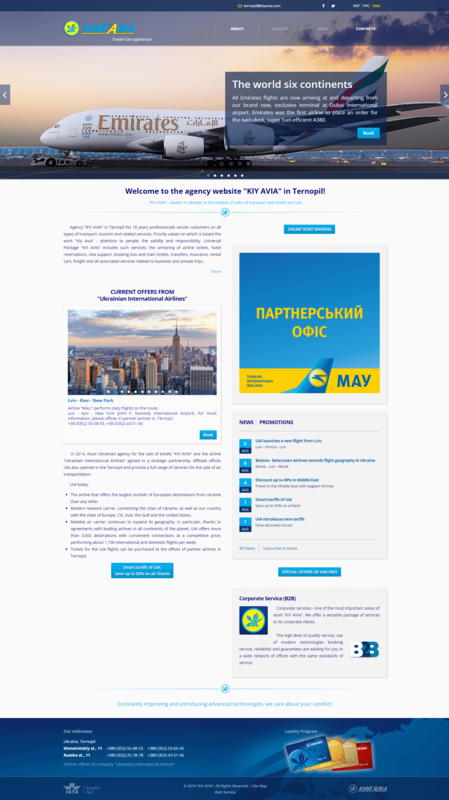 The current website was developed for a Ternopil Office and as a template for future sites for other cities. The main task was to create an outstanding site in 3 languages and keep the corporate style of a company. So, Orange35 developers team decided to use a modern OCMF framework which perfectly fits for a content-based projects needs. Moreover, it provides high-end features for multilingual websites that were required for this project. As a result, you can check Kiy Avia Travel Agency Website live here or on the screenshot below. As you see, the website is content based and can be easily switched into Ukrainian, Russian, and English languages. In addition, it refers users to an online booking system that provides an opportunity to get the described offers. So, if you own a travel business and still wish to get a website, make the first step right now. Contact Orange35 Support Team to describe your idea and schedule a meeting to discuss the details. IT articles, Product Release. permalink.